Qatar Museums (QM) and Al Shamal Municipality have signed a Memorandum of Understanding (MoU) to enhance joint cooperation and preservation of Al Zubarah UNESCO World Heritage Site and promote cultural awareness among community members as reported by QIB. As part of the new agreement, Al Shamal Municipality will be responsible for cleaning and preserving Al Zubarah’s beach every month for the next five years. Al Shamal Municipality will also take part in QM’s local activities to help promote cultural awareness among community members. The MoU was signed by Mr. Ahmad Al-Namla, QM’s Acting Chief Executive Officer (ACEO) and Hamad Jumaa Al-Mannai, Director of Al Shamal Municipality. Hamad Jumaa Al-Mannai, Director of Al Shamal Municipality, added: “We’re pleased to partner with Qatar Museums to preserve this historic site of Al Zubarah, in line with our commitment to the country and its people. Not only are we going to help preserve the beauty and cleanliness of the site and its surrounding areas, but we will also set up several activities to help spread awareness about Qatar’s rich cultural history. 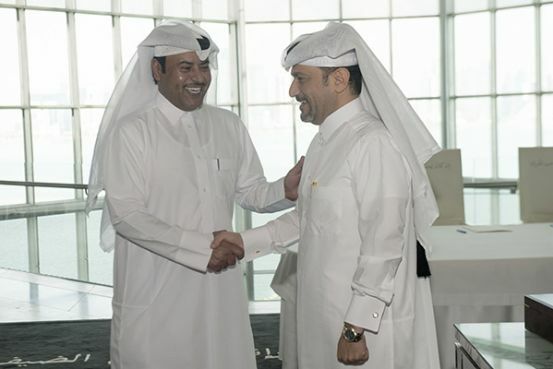 We look forward to seeing the outcomes of this fruitful cooperation.” The historic coastal town, Al Zubarah, is situated approximately 100 km north-west of Doha. Founded in the mid-18th century, the town developed into a centre of the pearling and international trade and rose to become the country’s largest and most important settlement. QM oversees its preservation and promotion by hosting various tourist visits and organising educational cultural activities all year-round for people in Qatar.